"My iPhone 7 has the message app permanently selected. The app is not open and I cannot open any other app. I also cannot change the page selected." "I was updating iOS 12 and the whole system freezes and I can't move a thing about 10 minutes. Now, I'm not able to work with my iPhone 7." If you face a similar situation like the users who have written the above experiences, your iPhone is likely frozen, and you will probably want to learn how to unfreeze iPhone 7. iPhone getting frozen is not an issue that occurs too often but when it occurs, it leaves you helpless as you cannot do anything on your iPhone. All the apps and other data get frozen and stop working on the device. Fortunately, there are multiple ways to get around the issue and fix your iPhone. In the following guide, you are going to learn why the issue occurs and how to unfreeze iPhone model that you have. Let's check it out. Part 2. 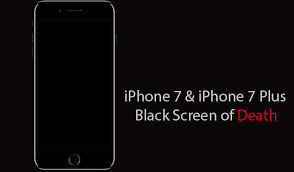 How to Fix iPhone 7/7 Plus Freezing Issues? If this is the first time you're seeing an iPhone getting frozen, you will wonder what's the cause of the issue. Well, there are multiple factors responsible for it and the following briefly tells you about those factors. If the storage space on your iPhone is full, you will likely face the frozen iPhone issue on your device. It's because the apps and other processes running on your device can't store their data and thus your phone ends-up getting frozen. Not all the apps have been developed with the most efficient coding conventions available and some apps have issues in them which cause your iPhone to freeze. These unresponsive apps often come from not so popular developers and you should avoid installing such apps on your device. It could be that the software side on your iPhone has got issues in it and it is causing your iPhone to get frozen. It could also be that your firmware has gone corrupt. Now that you know the probable causes of the issue, this section will teach you how to unfreeze iPhone 7 Plus or any other iPhone model for that matter. Make sure to follow each method to the letter and you will successfully be able to unfreeze your iPhone. If you think your iPhone has got frozen because of the apps you have installed, it's time that you get them closed on your iPhone. Once you have closed such unresponsive applications on your device, your iPhone will get unfrozen and you will be able to use it normally as you would do. Also, if possible, you should get rid of the unresponsive apps from your iPhone. You can uninstall them on your device, so they never come in your way again in the future. Sometimes rebooting your iPhone fixes many of the issues including the freezing issue on your iPhone. There are two ways you can force reboot an iPhone in the following steps. 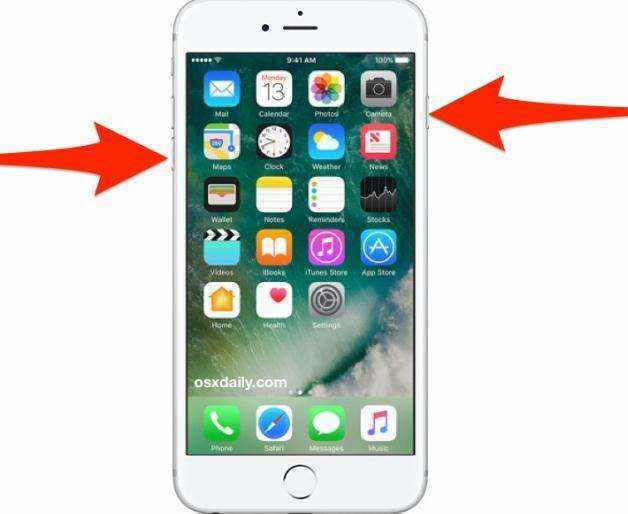 For iPhone 7/7 Plus users, long press the volume down and side button till the Apple logo appears and the device restarts. If you're running out of space on your iPhone, your apps and system utilities will have issues running and so as a result your iPhone will become unresponsive and will even get frozen. In that case, what you can do is free-up some memory space on your iPhone by removing unwanted content. If there are any apps lying around that you don't use much, you can uninstall them to make more room available for the apps you use. You can also get rid of the photos and videos that you no longer need on your iPhone and that will provide you with more memory space on your device. If you have confirmed that apps and insufficient storage are not the cause of the issue, it could be there's an incorrect configuration in the settings of your device. One way to resolve the issue is that to reset all the settings on your iPhone which can be done by following the following steps. On your iPhone, open the Settings app and tap on General followed by Reset. Then, tap on the option that says Reset All Settings. Often the newer versions of iOS fix the issues that the previous versions had in them and if you are on an outdated version of iOS, you may probably want to update it to fix your iPhone freezing issue. Before you start to update your device, you may want to make a backup of your device. Use theiCareFone app to do so as it's easy to use and has modern backup features. Once you have created a backup, head to Settings > General > Software Update and tap on Download and Install to update to the latest version of iOS. If your issue has still not got resolved, there is a nice software called Tenorshare ReiBoot that should help you fix the issue on your device. The software has been built to deal with the issues like yours and it will certainly help you get rid of the issue on your device. Step 1: Download and run the software on your computer. Connect your iPhone to your computer and click on Repair Operating System in the software. Step 2: On the following screen, click on Start Repair. You will be asked to download a firmware for your device. Click on the Download button to do so. Step 3: When the firmware is downloaded, the software will begin repairing your device. You will be notified by a message when the device is repaired. That's all. Your iPhone 7/7 Plus should now be fixed and won't get frozen anymore. If your iPhone 7/7 Plus has got frozen, our guide above should teach you how to unfreeze iPhone 7 and iPhone 7 Plus using various methods. ReiBoot has the maximum chances of repairing your device and hence it should be your first choice.